The aim of a joint injection is to inject corticosteroid and/or local anaesthetic medication into a joint or soft tissue next to a joint to reduce the inflammation and provide pain relief. The injection is most often guided by Ultrasound control; however other imaging modalities can also be used. Joint injections are performed to confirm that the joint or bursa is the site of pain and to reduce the synovial inflammation to reduce the pain. It may be best to wear comfortable clothing with easy access to the joint being injected, otherwise you will be changed into a gown. Please bring to the practice any prior scans (X-Rays, ultrasounds, CT, or MRI’s) and reports as these will assist the Radiologist in assessing your condition. Please tell the staff or Radiologist if you have any allergies, and if you are on any blood thinning medications. Infection is a rare but potentially serious complication for any injection into a joint. Most infections take at least 1-2 days to show up, so pain at the injection site after 48 hours is considered to be due to an infection until proven otherwise. Antibiotics may be required. Allergic reaction any of the substances used during the procedure such as cortisone, dressing, local anaesthetic or antiseptic may cause an allergic reaction. The exact technique varies depending on the joint to be injected and the Radiologist who performs the injection. 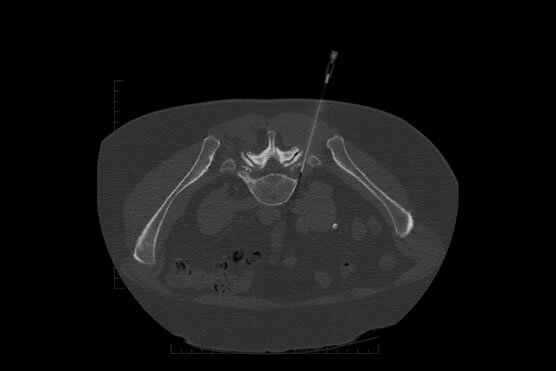 Generally a preliminary scan will be performed to locate the exact point to be injected. The skin will be cleaned with an antiseptic solution to prevent infection. A needle will then be placed into the joint, using the ultrasound scanner for guidance. A mixture of Cortisone and Local Anaesthetic will then be injected into the joint or bursa. A small simple dressing (Band-aid) will be applied to the area. The joint should feel better as a result of the local anaesthetic. The anaesthetic will wear off after a few hours. You may experience increased soreness in the joint than before the injection. This soreness may last for 2-3 days post procedure, simple paracetamol can help relieve this. This should not be confused with a potential infection, if the joint becomes extremely painful, red, swollen, or tender this may indicate an infection, please contact your referring Doctor if this is the case. The steroid will usually start to take affect between 2-3 days post injection. What is a Plantar Fascia Injection? This procedure involves an injection of Local Anaesthetic and Steroid into the Plantar Fascia (the ligament located on the underside of the foot). The aim of the injection is to reduce inflammation and provide pain relief. The injection is guided by Ultrasound imaging. It may be best to wear comfortable footwear and clothing for easy access to the foot being injected. A nerve block of Local Anaesthetic will be administered, numbing your foot. The skin will then be cleaned with an antiseptic solution to prevent infection. A small needle will then be placed into the region, using the Ultrasound scanner for guidance. When in the right place a mixture of Cortisone (steroid) and Local Anaesthetic will be injected into the plantar fascia. The foot should feel better as a result of the Local Anaesthetic, but it will feel numb. The anaesthetic will wear off after a few hours. You may experience increased soreness in the foot compared to before the injection. This soreness may last for 2-3 days post procedure. Simple paracetamol can help relieve this. If the area becomes extremely painful, red, swollen, or tender this may indicate an infection – please contact your referring Doctor if this is the case. The steroid will usually start to take affect between 3-5 days post injection. The Radiologist conducting the joint injection will send your referring doctor a report. This procedure involves an injection of Local Anaesthetic and Steroid into the facet joints of the spine to provide ongoing pain relief. The procedure is conducted under CT guidance. The facet joints are sliding joints at the back of the spine which allow for mobility. An injection into these joints is used to treat irritation or inflammation, often caused by facet joint degeneration. This degeneration can occur in isolation, or as a result of degenerative disc disease. A facet joint injection can be diagnostic, to determine the pain source, or therapeutic, to provide ongoing pain relief. There is no specific preparation required. If you are on any blood thinning medication (Aspirin, Warfarin, Iscover, Plavix) please advise your referring doctor or High St Xray as these may need to be ceased before the procedure. We recommend that you bring a responsible person to drive you home afterwards. If this is not possible we ask that you stay at the practice for 15-30 min for observation after the procedure. Please bring any prior scans (X-Rays, ultrasounds, CT, or MRI’s) and reports, as these will assist our Radiologist in assessing and effectively treating your condition. Infection at the skin puncture site or deeper within the facet joint (1-2%). These can be serious with (<0.1%) requiring hospital admission. Bleeding can occur in patients with bleeding disorders and on ‘blood thinning’ medication. Nerve damage from the direct needle trauma, or as a consequence of the above complications. Spinal injection procedures are done with you lying face down on the CT scanner table. Once in this position we will ask you to remain as still as possible. A series of planning images are performed, with the area of needle entry planned and then a mark will be placed on your skin. The Radiologist will then clean your skin with a cold antiseptic wash and inject Local Anaesthetic into the injection site. This will sting for about 30-60 seconds, until the local anaesthetic takes effect. A fine needle is then passed through the skin and tissues, and is manipulated and moved under CT guidance until it enters the facet joint. The CT table will move in and out during this time to check the position of the needle. The doctor will then inject a mixture of Steroid and Local Anaesthetic into the facet joint. Some discomfort may be felt for a short time until the local anaesthetic numbs the area. A simple dressing will be applied to the injection site. The effects of the treatment can vary. Immediately after the injection, your pain should be reduced due to the local anaesthetic. You will be able to walk immediately after the procedure. Patients will be kept at High St Xray for approximately 15-30 minutes for observation and will be discharged after they are assessed by a member of staff. After a few hours, your pain may return and some patients can experience a sore back for a couple of days. Simple paracetamol can help with this. You should experience maximum pain relief around 3-5 days after the injection. A follow up appointment with your referring doctor or health care provider is recommended to discuss your results of the procedure. We recommend you do this approximately 1 week following the procedure. You will be given a pain chart by the radiographer, please use this to record your level of pain to aid in rehabilitation and take this form to your follow up doctors visit. The Radiologist conducting the spinal injection will send your referring doctor a report. This procedure involves an injection of Local Anaesthetic and Steroid into the Epidural Space of the spine to provide ongoing pain relief. Epidural injections are used to treat neck, back, arm and leg pain, depending on which level the needle is placed and exactly where in the epidural space. By delivering an epidural injection directly into the epidural space via CT guidance, the medication moves throughout the epidural space coating the nerves therefore reducing pain and inflammation in the area. We require that you bring a responsible person to drive you home after the procedure. This is because as local anaesthetic has been injected into the epidural space and the anaesthetic may come into contact with adjacent nerves and may result in your arm or leg (depending on the injection site) feeling numb, heavy, clumsy, or weak therefore making driving unsafe. This usually reverses in approximately 20-40 minutes. Infection at the skin puncture site or deeper within the facet joint (1-2%). These can be serious (<0.1%) requiring hospital admission. Dural puncture when the needle penetrates into the sac encasing the nerves within the spinal canal, causing leakage of fluid contained within the sac, known as cerebrospinal fluid. The risk of this is approximately 1%. The Radiologist will then clean your skin with a cold antiseptic wash and injects Local Anaesthetic into the injection site. This will sting for about 30-60 seconds, until the local anaesthetic takes effect. A fine needle is then passed through the skin and tissues, and is manipulated and moved under CT guidance until it enters the Epidural space. Occasionally air or X-Ray contrast can be injected to confirm the needle is in the correct position. The doctor will then inject a mixture of Steroid and Local Anaesthetic into the area. Some discomfort may be felt for a short time until the local anaesthetic numbs the area. At most, patients may experience some slight minor discomfort in the back. Since the Local Anaesthetic is administered around the nerve, most patients should be pain free for a few hours. After a few hours, your pain may return and some patients can experience a sore back for a couple of days. Simple paracetamol can help with this. Patients will be kept at High St Xray for approximately 30 minutes for observation and will be discharged after they are walking safely and feeling well. Please wait to be seen by our Radiologist for review post procedure. You should not drive for the rest of the day. The following day you may return to work and gradually increase your activities. What is a Nerve Root Block/ Perineural Injection? This procedure involves an injection of Local Anaesthetic and Steroid into a nerve root of the spine to provide ongoing pain relief. The procedure is also known as a “periradicular block / injection” or “foraminal block / injection”. The procedure is usually completed under CT guidance and it aims to stop the pain stemming from an inflamed nerve by reducing inflammation in the area. A nerve root block is also used for patients who suffer from pain from a “pinched nerve”, also known as radicular pain. Radicular pain usually involves the legs where it is commonly known as Sciatica. A fine needle is then passed through the skin and tissues, and is manipulated and moved under CT guidance until it is near the Nerve Root. Occasionally you may experience a sensation of pain that may mimic your “nerve-like shooting” pain. This can help confirm the correct position of the needle and is a normal part of the procedure. Occasionally air can be injected to confirm the needle is in the correct position. Since the local anaesthetic is administered around the nerve most patients should be pain free for a few hours. After a few hours, your pain may return and some patients can experience a sore back for a couple of days. Simple paracetamol can help with this. What is a Shoulder Hydrodilatation? A Hydrodilatation is a procedure used to treat a “frozen shoulder”. It is used to increase mobility in the shoulder and decrease pain in the joint. A Hydrodilatation involves injecting Local Anaesthetic, Cortisone, and Sterile Saline. By injecting these substances pain and inflammation is normally reduced and the range of motion is improved by stretching the capsule with the sterile saline. After the procedure you may experience a clumsy / heavy feeling in the arm, this is quite common and usually only lasts for an hour or so. Infection at the skin puncture site or deeper within the Shoulder joint (1-2%). These can be serious with (<0.1%) requiring hospital admission. You will lie on your back on the CT scanner couch. A heavy bag is placed on your hand to keep your shoulder in the correct position, and from this point you will be required to remain still. A fine needle is then passed through the skin and tissues, and is manipulated and moved under CT guidance until it enters the Shoulder Joint. The doctor will then inject a mixture of Steroid, Local Anaesthetic, and Sterile Saline into the area. Some discomfort may be felt for a short time until the Local Anaesthetic numbs the area. The effects of the treatment can vary. The shoulder may have a full, heavy, or increased tightness / pressure feeling afterward, which is due to the amount of fluid in the shoulder joint. Since the Local Anaesthetic is administered into the Shoulder, most patients should be pain free for a few hours. After a few hours, your pain may return and some patients can experience a sore Shoulder for a couple of days. Simple paracetamol can help with this. Patients will be kept at High St Xray for approximately 30 minutes for observation and will be discharged after they are feeling well. We advise you to wait at least half an hour before driving, as you may find that your arm is clumsy and uncoordinated following the procedure. We recommend that you commence a rehabilitation programme once the discomfort from the procedure has passed. You should consult your referring doctor or physiotherapist for any advice, regarding how much to use your shoulder. As a general rule please avoid any heavy lifting and intense activity of the shoulder for the first 3 days following the procedure. A Platelet Rich Plasma or Protein Rich Plasma (PRP) Injection is a procedure that involves the injection of the patient’s own blood into an injured area of the body to promote healing. The patient’s blood is spun in a centrifuge to separate the blood components. Platelets are small blood cells that are important for blood clotting after an injury. Within the platelets there are also powerful growth factors, which play a significant role in the repair and regeneration of connective tissues, stimulating tissue repair. It is most commonly used to treat degeneration of tendons (tendonitis, tendonosis, or tendonopathy), which frequently occurs in association with small tendon tears. This procedure has also been used to treat disease of fasciae, ligaments, and joints. Ultrasound guidance is used to ensure that the blood is delivered precisely and safely to the area concerned. Though dependant on the severity of the underlying tendon disease, and the length of the symptoms, approximately 80% of patients will obtain complete or significant relief of their symptoms. No corticosteroids for 2-3 weeks before the procedure. Stop non-steroidal anti-inflammatory drugs (NSAIDs) 3 days prior. If you are on any blood thinning medication (Aspirin, Warfarin, Iscover, Plavix) please stop 5 days prior to the procedure. Increase fluid intake in the 24 hours before the procedure. Infection at the skin puncture site or deeper within the soft tissues. These can be serious with (<0.1%) requiring hospital admission. Pain and Stiffness following the injection pain can vary in intensity and duration. You may have a flare up of pain in the first week following the procedure and in most cases this can be relieved with paracetamol. Non-response to injection may occur in approximately 7% of patients. A trained staff member will take some blood, usually from your arm. The blood will be spun in our centrifuge for 15 minutes. The skin is then cleaned and prepared with an antiseptic solution and some local anaesthetic may be used and injected into the skin overlying the tendon. The platelet portion of the blood withdrawn is then injected directly into the tendon. The amount of blood injected depends on the size of the tendon. A simple dressing will be then placed over the injection site. A moderate amount of discomfort is expected due to the process of inflammation. Inflammation also results in some swelling and pain and as such paracetamol and a cool compress may help with symptoms. Refrain from any significant activity involving the body part for one week. Please do not complete or engage in any deliberate exercise with the body part (weight training). Necessary activities of daily living are permissible. DO NOT use any non-steroid anti-inflammatories drugs (NSAIDs) like Aleve, Advil, Ibuprofen or Aspirin for 3 days after the procedure. The Radiologist who completed the procedure, will provide a formal written report to your referring doctor or health care professional detailing the procedure. Please ensure that you make a follow up appointment with your referring doctor or health care provider to discuss your results of the PRP. A staff member will contact you to follow-up your treatment.